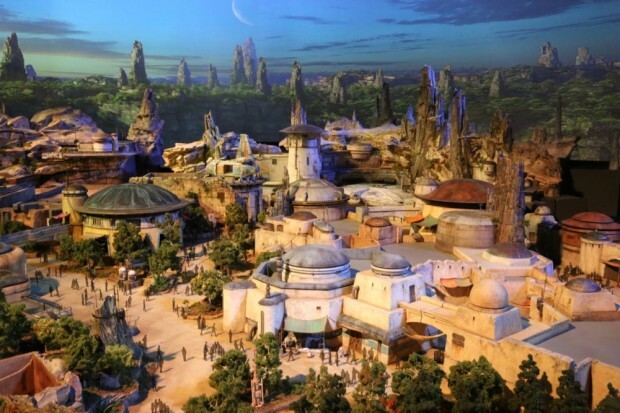 This new land will be open at Disneyland Park on May 31, 2019! 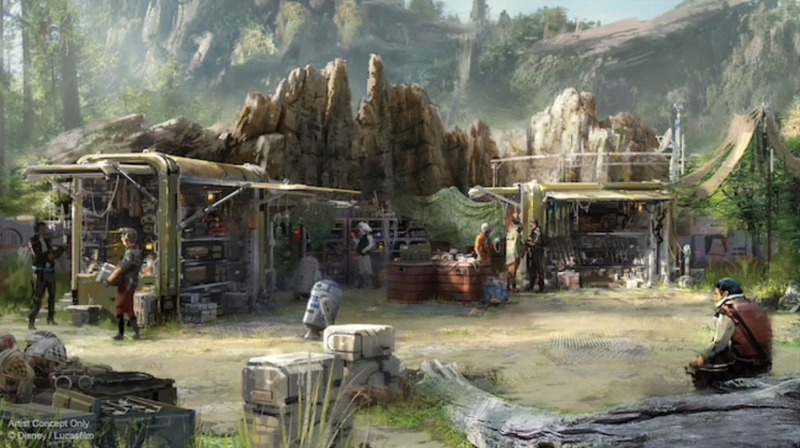 Star Wars: Galaxy's Edge will immerse guests in a never-before-seen outpost on the edge of the Galaxy. 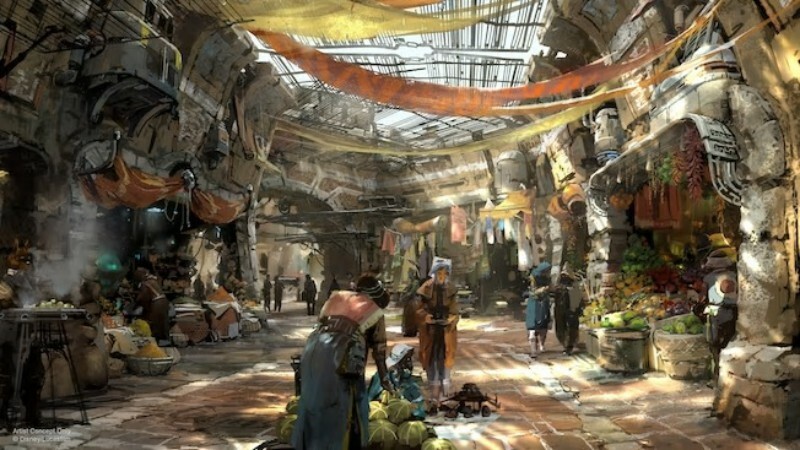 The new area located behind Frontierland will include two major attractions, plus shopping and dining. 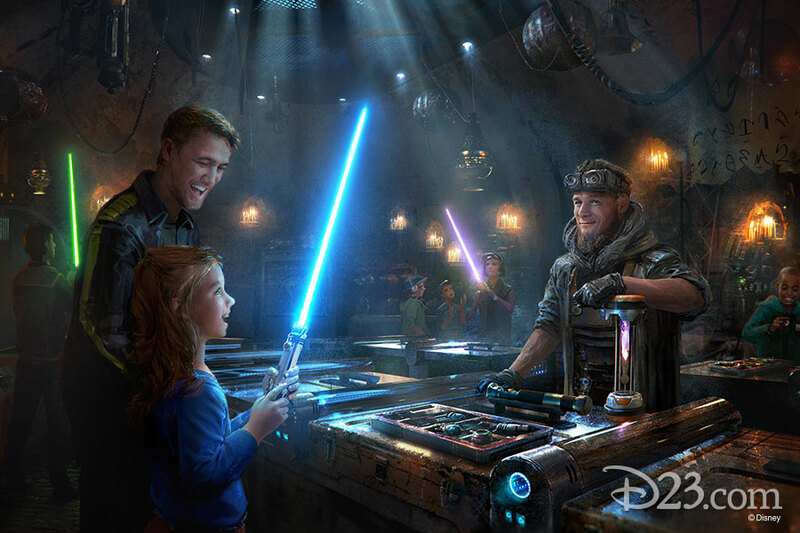 On this attraction guests will have the opportunity to step aboard and pilot the ship! 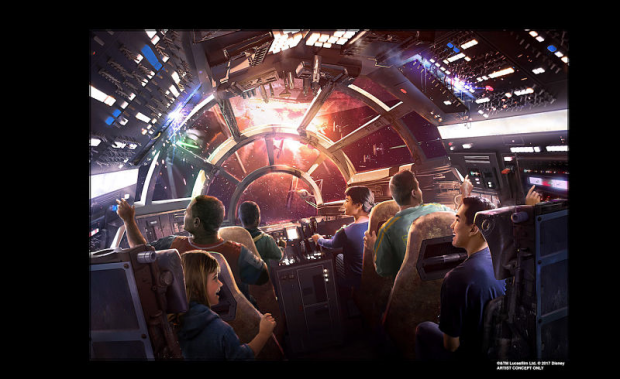 Once aboard the Millenium Falcon guests will shoot blasters on a mission that can earn them galactic credits. 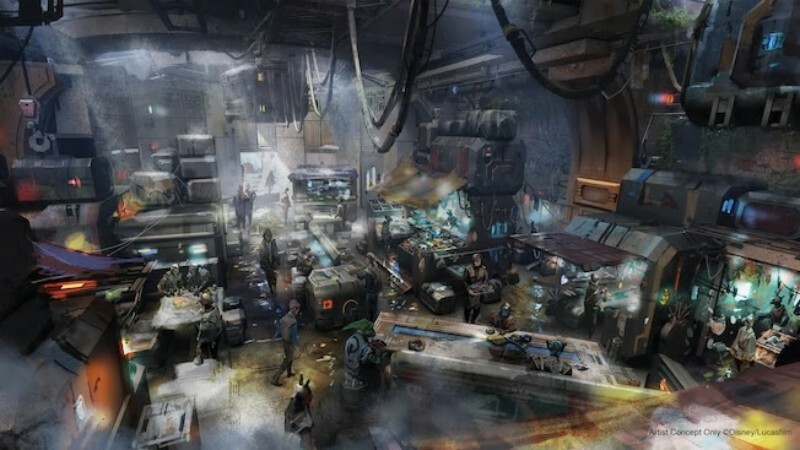 If on your mission, you bring back the Millenium Falcon “banged up” you’ll end up on the list of a bounty hunter, and if you end up on Harkos’s list you won’t want to head to the local cantina, or else you might face a big problem there. 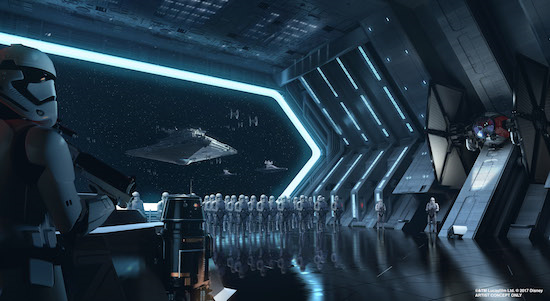 This attraction will throw guests into the middle of a battle between the First Order and the Resistance (including Kylo Ren). 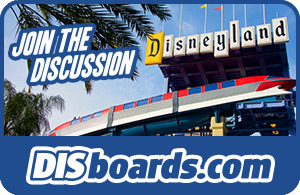 This attraction is on a scale that guests haven't seen before in a Disney theme park. 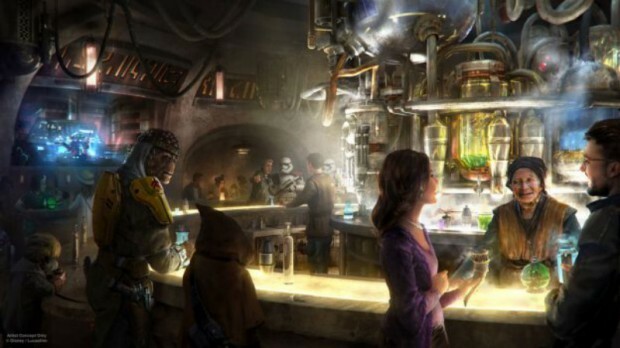 The cantina will welcome "pilots, bounty hunters, smugglers, locals and galactic travelers alike" and is set to serve "the best drinks in the galaxy," while former Star Tours pilot Rex provides musical entertainment. 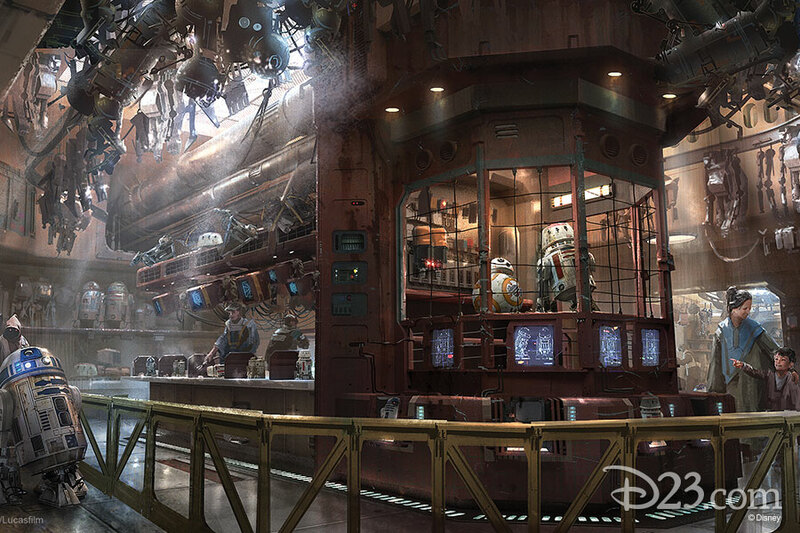 Disneyland has confirmed that Oga's Cantina will be the first space available to the general public inside Disneyland Park to serve alcohol. Chef Strono "Cookie" Tuggs will serve up his grub for weary travelers. 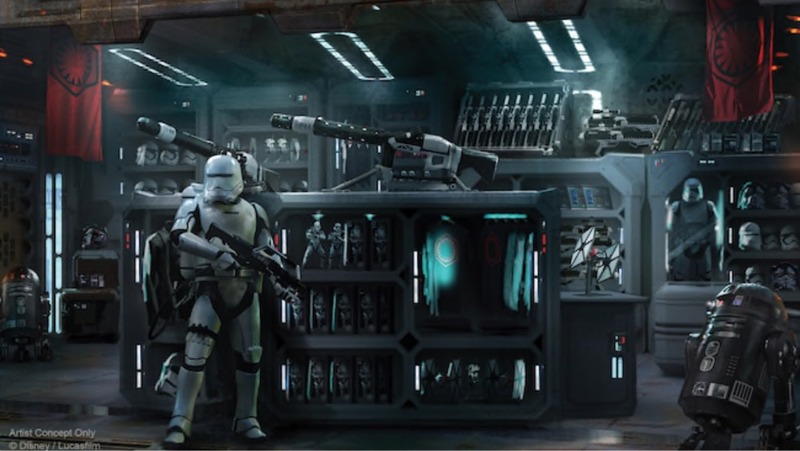 The menu is inspired by the time Tuggs spent working for Max Kanata on Takodana. 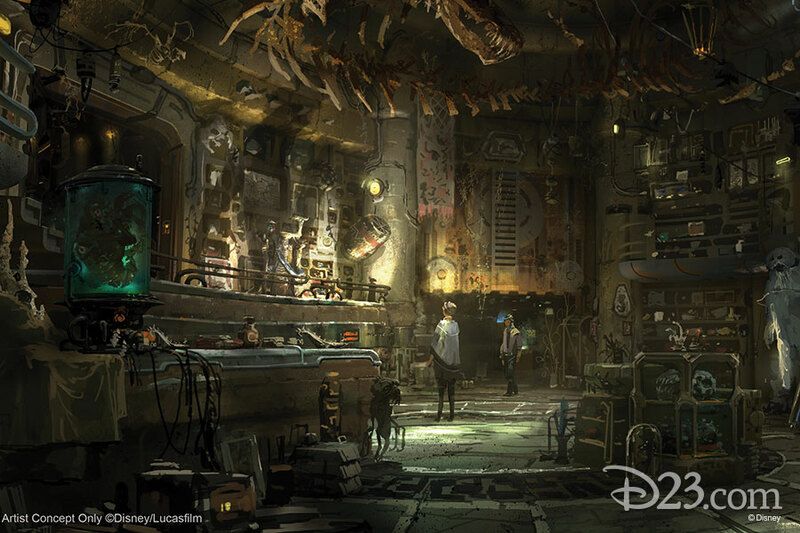 Look for items like Braised Shaak Roast, Fried Endorian Tip-Yip, Feuclian Garden Spread, and Smoked Kaadu Ribs. 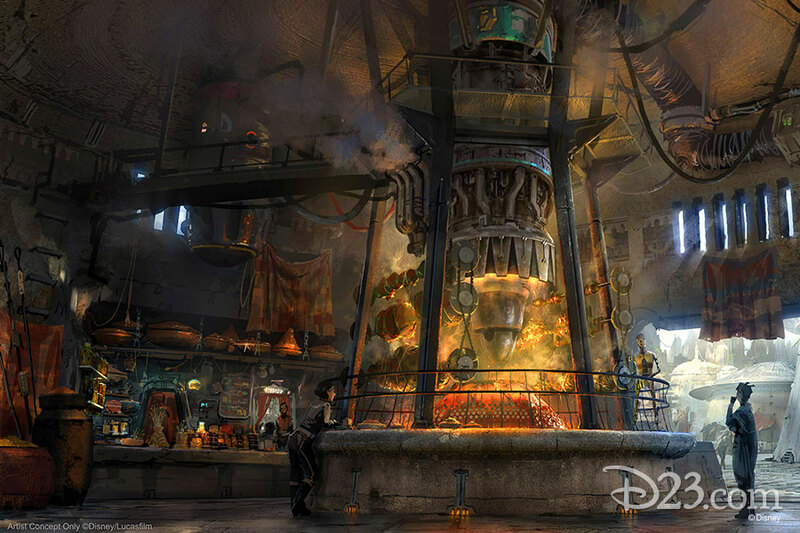 Here a podracing engine serves as a barbecue pit for mouth-watering meats served in wraps or sandwiches. 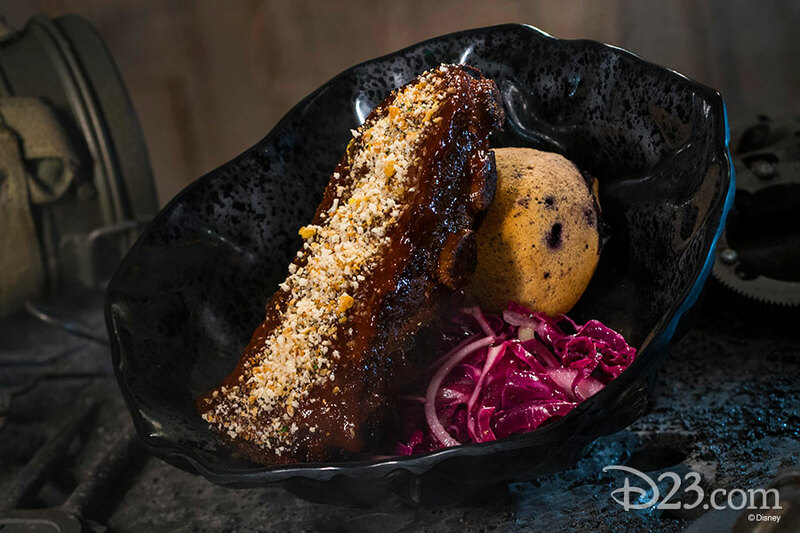 Menu items include Meiloorun Juice, Turkey Jerky, and a Ronto Wrap, which is filled with grilled sausage and roasted pork. Drinks include the Sour Sarlacc or Tatooine Sunset. 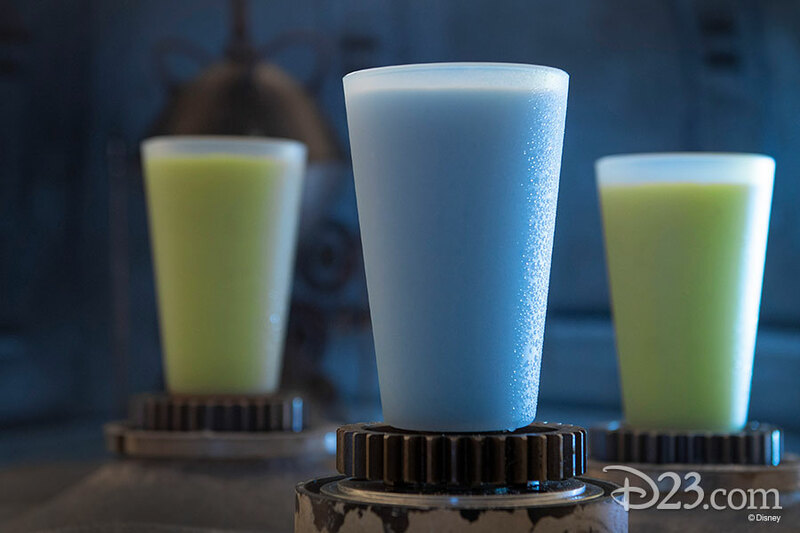 Grab a glass of blue milk or green milk! 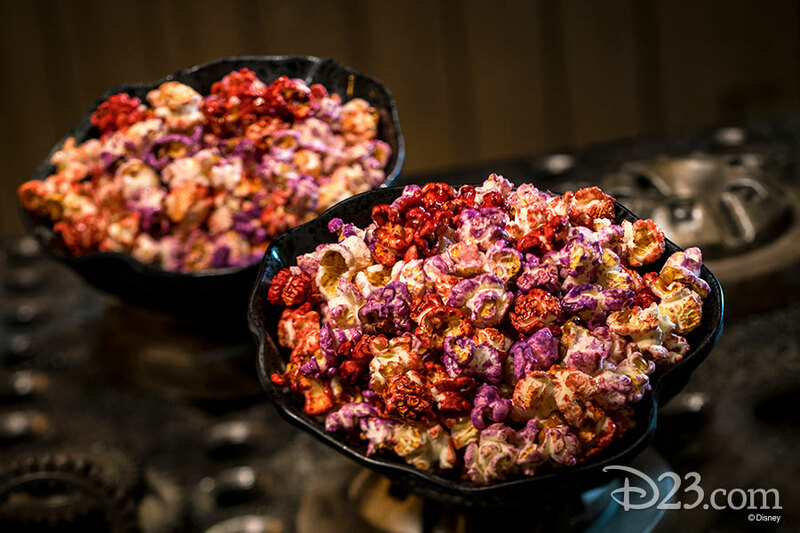 Look for Outpost Mix, a sweet-savory-spicy popcorn snack. 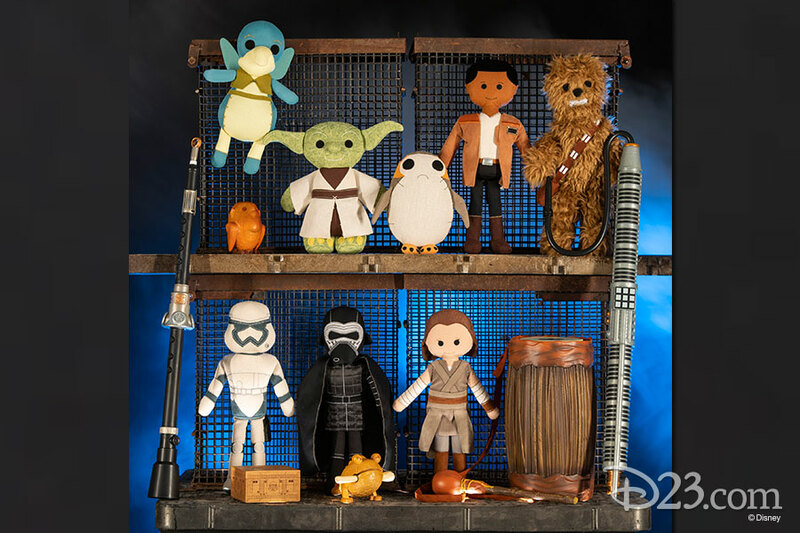 All of the merchandise in Star Wars: Galaxy’s Edge has been created especially for the new land. 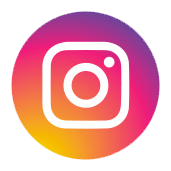 Don’t look for standard Star Wars-logo products. 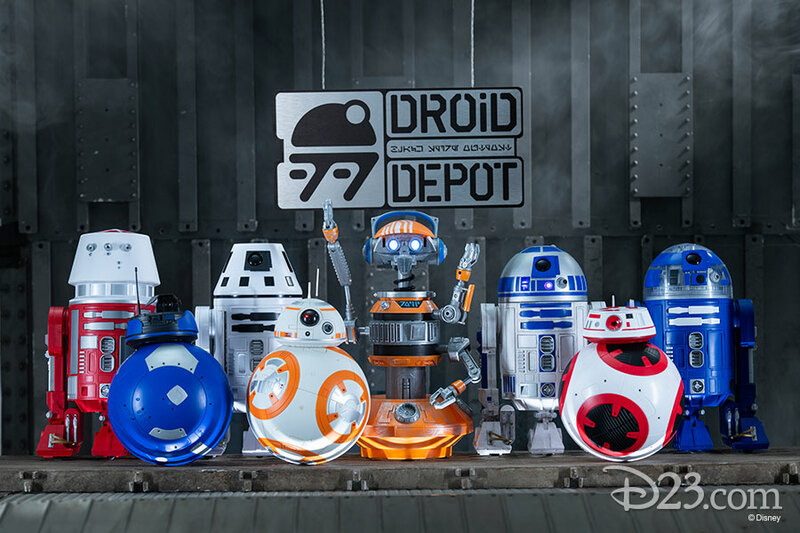 Grab parts off of a conveyor belt to build your own customized droid, either an R-series or BB-series unit. 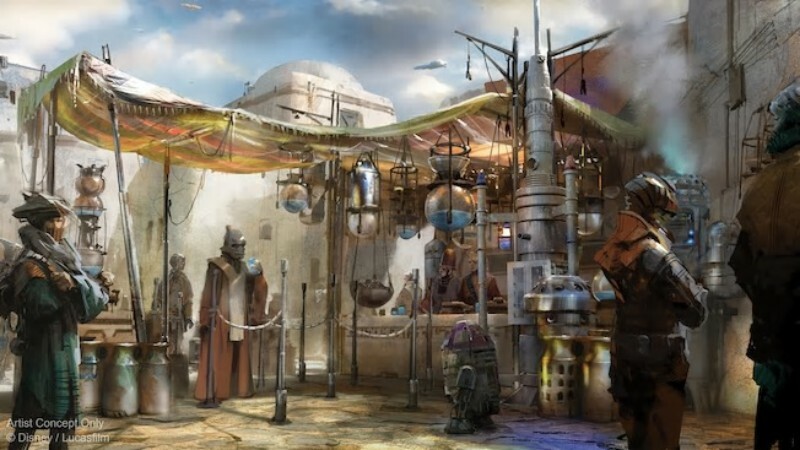 The droids will be able to interact with some elements in the land and respond to guests’ behaviors. 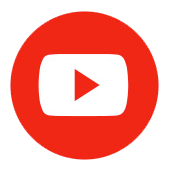 Chips and accessories can be added to customize the droids even more. 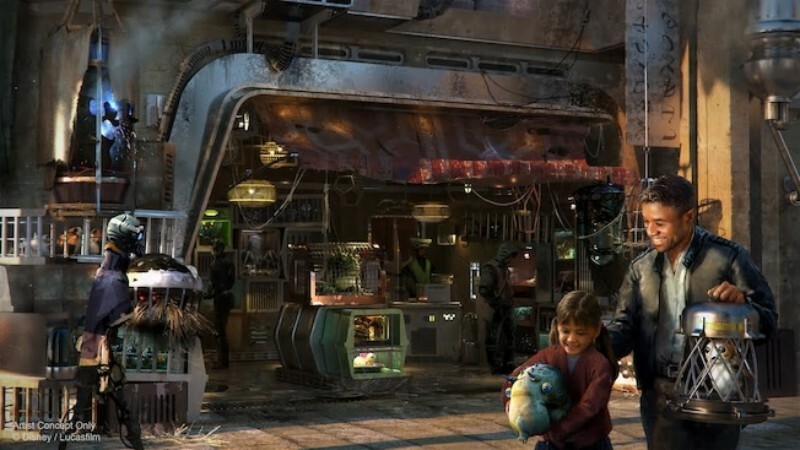 The store will also offer pre-built droids, including a talkative C-3PO and a Rex that serves as a Bluetooth speaker. 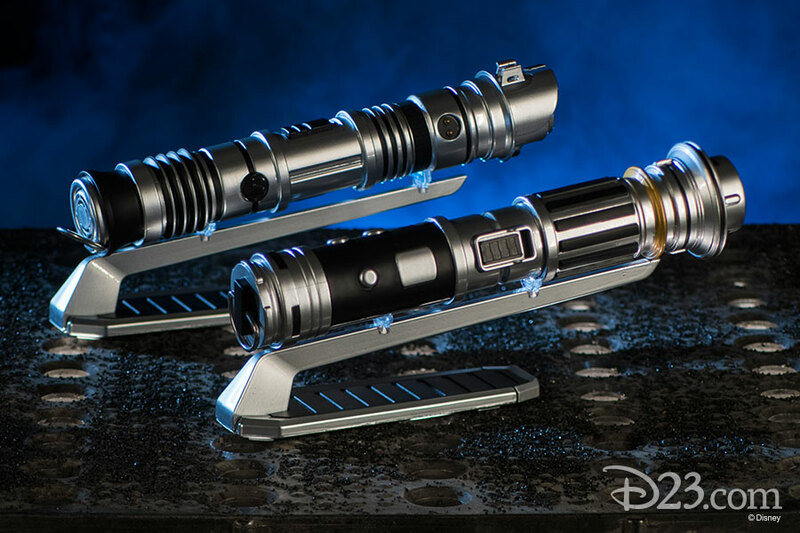 This workshop will give you the chance to build your own lightsaber. 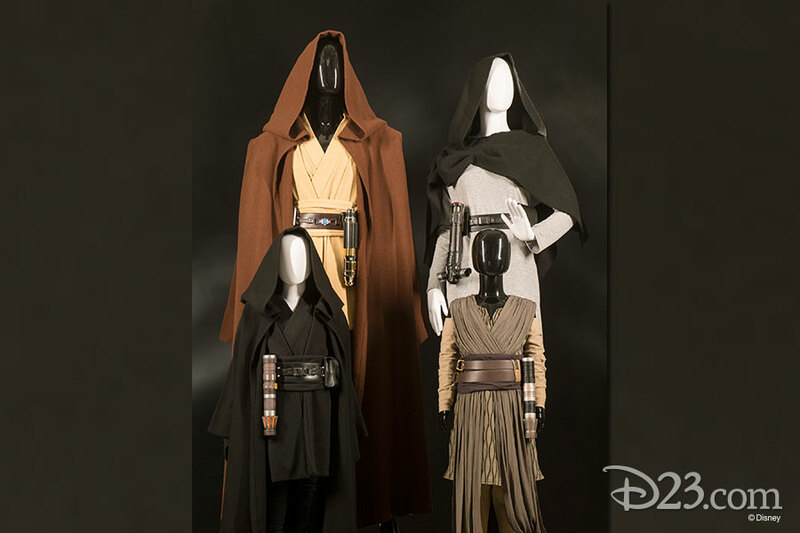 Following a guided tour, guests can select from four options: Peace Justice (modeled after Jedi from the Republic era); Power Control (a nod to the Sith); Elemental Nature (harnessing air, earth, fire, and water); and Defense (shrouded in mystery). 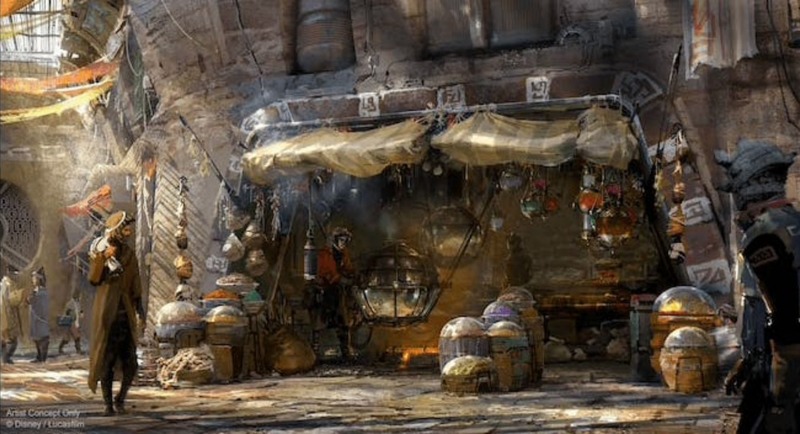 This shop deals in the mysterious and rare. 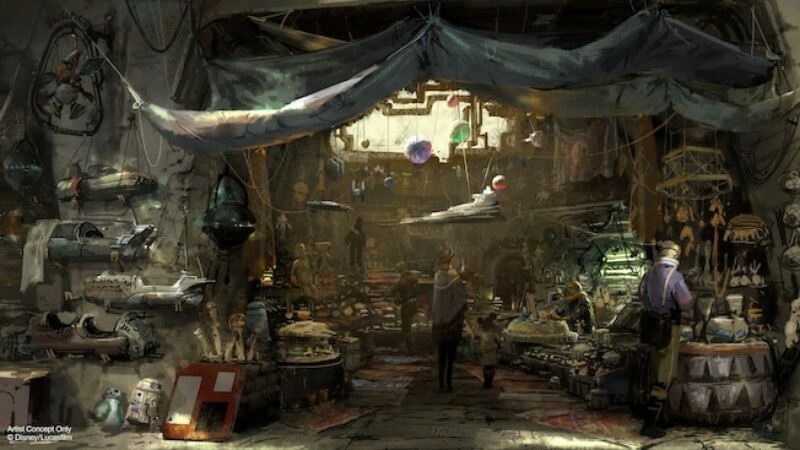 Guests will find items from different eras in the Star Wars story. 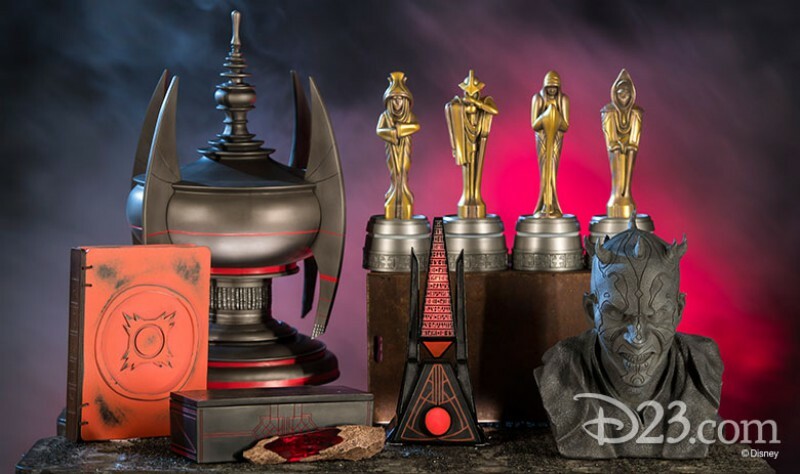 Look for Jedi and Sith artifacts, holocrons, and lightsabers. 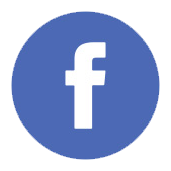 An animatronic Dok will be at his desk barking orders to his assistants and checking his inventory. 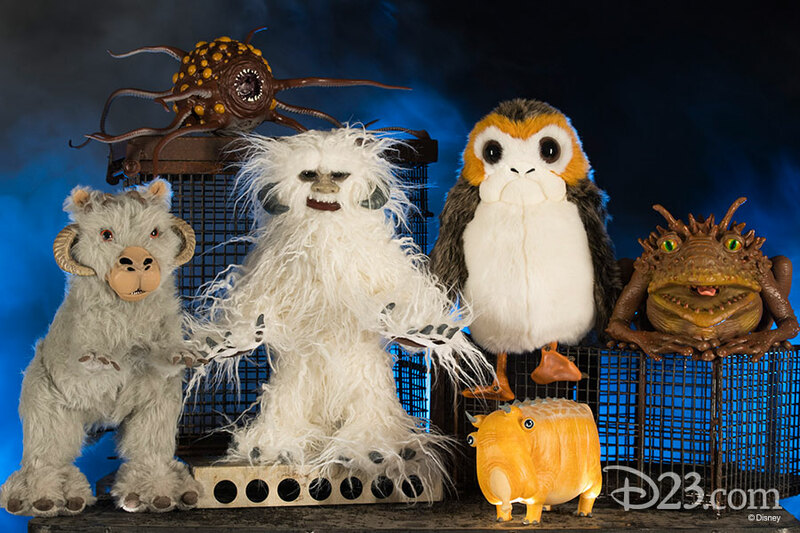 Look for all sorts of unusual beats, from porgs and tauntauns to rathtars and wampas. 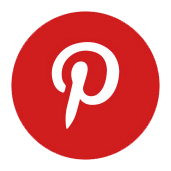 Find artistan-style plus characters, wood and tin toys, and instruments. 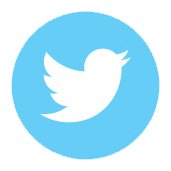 Get badges, hats, pins and other items to help you blend in with the Resistance. 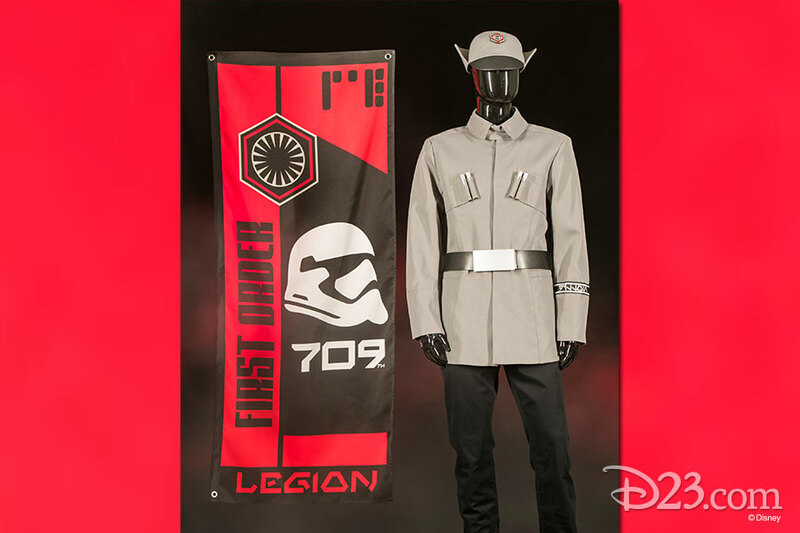 Pledge your loyalty to the First order by picking up hats, model ships, and pins. 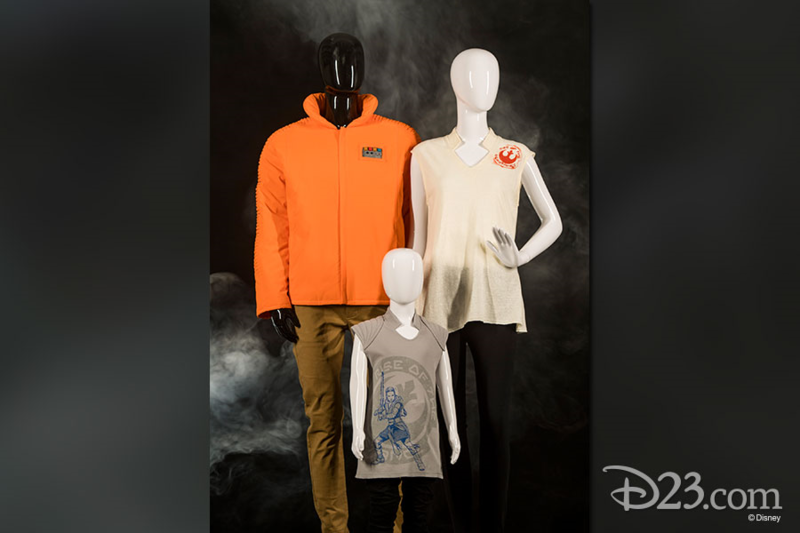 Choose clothing that will help you create your own galactic style.